Q. How do you make flowcharts using Microsoft Office? Within SmartArt, you'll find an array of graphic options to choose from. The Process option typically is a good choice for flowcharts, but the choice is yours. After selecting the general category, additional options will appear for you to choose from. Think through your project and the process you are describing; choose the design option that best meets your needs. You can always adjust, delete, or insert a new choice later. After making your choices, the graphic you've selected will appear on the page. At this point, you can add or delete boxes, change the shapes used, and edit colors and fonts. Click [Text] and type in the text you want to appear in the specific box. 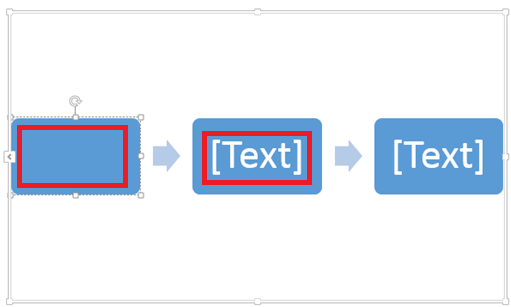 The Microsoft Office website features various tutorials and instructions for how to create a flowchart with SmartArt. 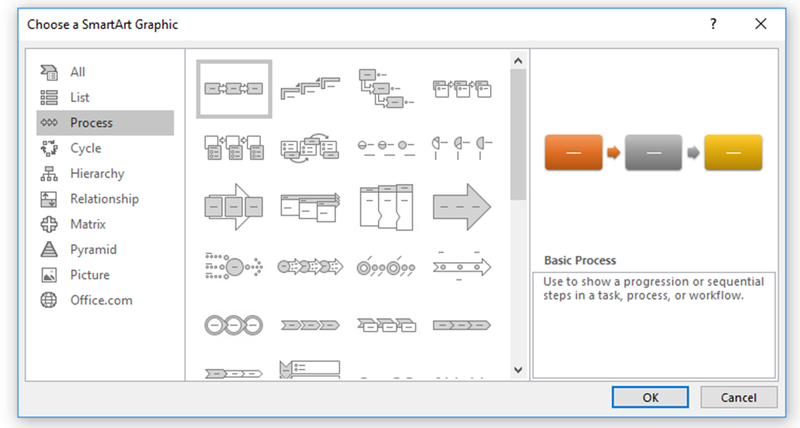 SkillSurfer also provides detailed instructions and visuals for using SmartArt. If using Shapes, select a shape from the menu of options. Click where you'd like the shape to appear on the page, and drag to the appropriate size. Continue adding shapes and lines to complete your flowchart. 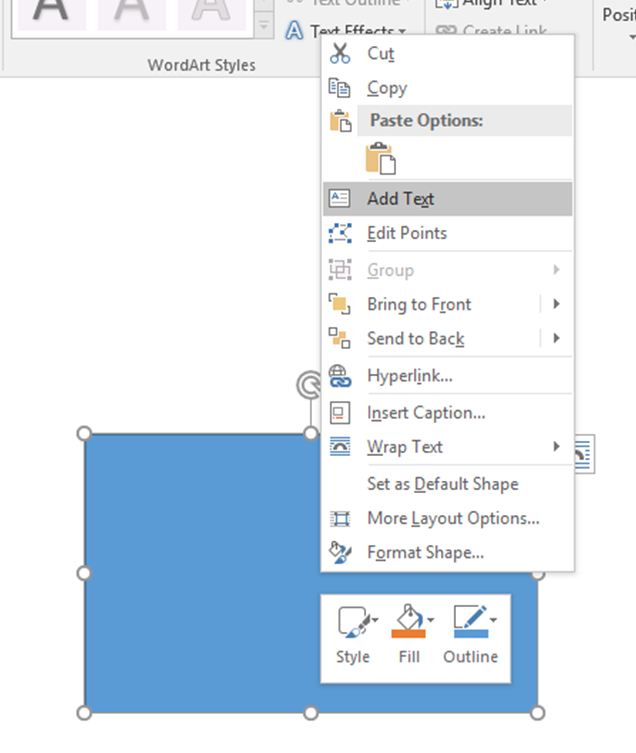 Right click on the shapes to access a variety of options to insert text and adjust font options. The Microsoft Office website features tutorials and instructions for using shapes effectively. SkillSurfer also provides detailed instructions and visuals for using shapes. Awesome answer! Thanks for posting this information so I can make a professional looking flowchart for the revenue cycle of a PPS in my medical billing & insurance class. by Arlene McQuality on May 27, 2015.